The Norfolk Heart Trust has helped improve the treatment of cardiac patients across Norfolk. THE NORFOLK HEART TRUST IS A LIFE SAVER! "Without the Norfolk Heart Trust and its generous donors I know with absolute certainty that many of the treatments that we offer would not be available at the Norfolk and Norwich University Hospital. It was only after the Norfolk Heart Trust raised over £1 million for X-ray equipment with its Balloons for Hearts Campaign that Coronary Balloon Angioplasty was possible. Without The Norfolk Heart Trust’s Sparks for Hearts Campaign, we would not be able to offer Cardiac Electrical services either. 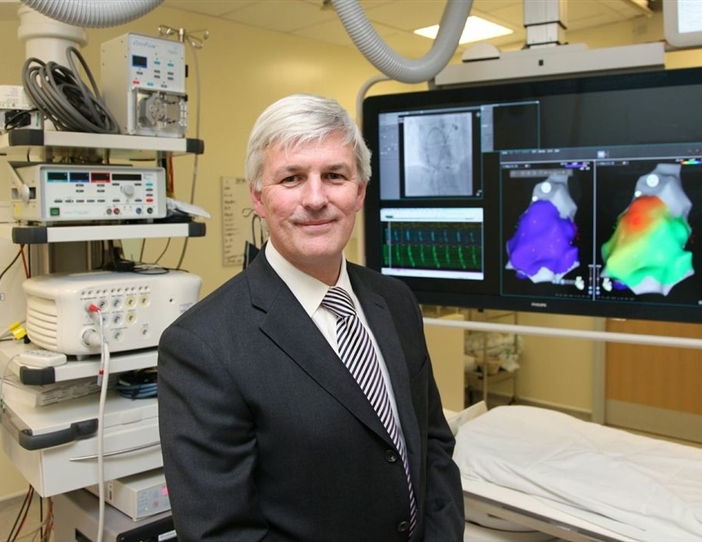 "More fundamentally, the Heart Trust has provided other equipment for the Cardiology department and by inference the whole Hospital, including 4 out of 5 Heart Scanners that allow us to visualise the internal workings of the heart, numerous ECG machines used by our staff throughout the whole hospital and heart rhythm monitors that capture rhythm disturbances as they arise. Put simply, without the Norfolk Heart Trust patients would still be travelling to Papworth for many of these treatments and investigations. The Norfolk Heart Trust is a life saver!" THE PROCEDURE HAS CHANGED MY LIFE! “From my point of view it’s been an absolute Godsend - I can’t speak highly enough of the procedure and the consultant. It’s completely changed my life. Before this it felt like I was running a marathon 24 hours a day. WITHOUT THE HELP FROM THE NORFOLK HEART TRUST I WOULD HAVE BEEN UNABLE TO ACCESS THIS COURSE." "I am a Specialist Cardiology Nurse in the Cardiology outpatients department at the NNUH trust. I work closely with patients both before and after an angioplasty. Understandably, they can be extremely anxious and often have great problems in coming to terms with their coronary heart disease and procedure. However I am also involved with providing pre and post rehabilitation advice to patients after their Myocardial Infarction (heart attack). "A lot of my work involves motivating individuals to change their behaviours and lifestyles, helping them to understand what their heart disease means to them, aiding their ability to come to terms with their diagnosis and motivating them to make the necessary lifestyle changes. The Norfolk Heart Trust has provided me with the finances necessary to attend a certificated course in Cognitive Behaviour Therapy. This helps patients to identify their negative thoughts and unhelpful behaviours and gives them the necessary tools in order to think about things in a different light and behave in a more helpful way been unable to access this." THE NHT GAVE ME FINANCIAL AND MORAL SUPPORT! I’m Kath, Clinical Lead Specialist Dietician in Cardiology. We use NICE guidelines to inform our practice which recommend that the patients receive specialist dietary assessment and advice after their heart attack. I have done postgraduate courses at Imperial College in Preventive Cardiology led by Professor David Wood and the Norfolk Heart Trust has funded much of this which I have really appreciated. When I approached the Norfolk Heart Trust I felt that the Trustees not only looked to support me financially, they took a real interest in what I was planning to do and automatically saw the benefits that this would bring to patients locally. In effect the Norfolk Heart Trust has been much of my moral support too! THE NORFOLK HEART TRUST IS A LIFESAVER! What else have we done in 2013?